A warm welcome to you... Thanks so much for stopping by to see what is new. 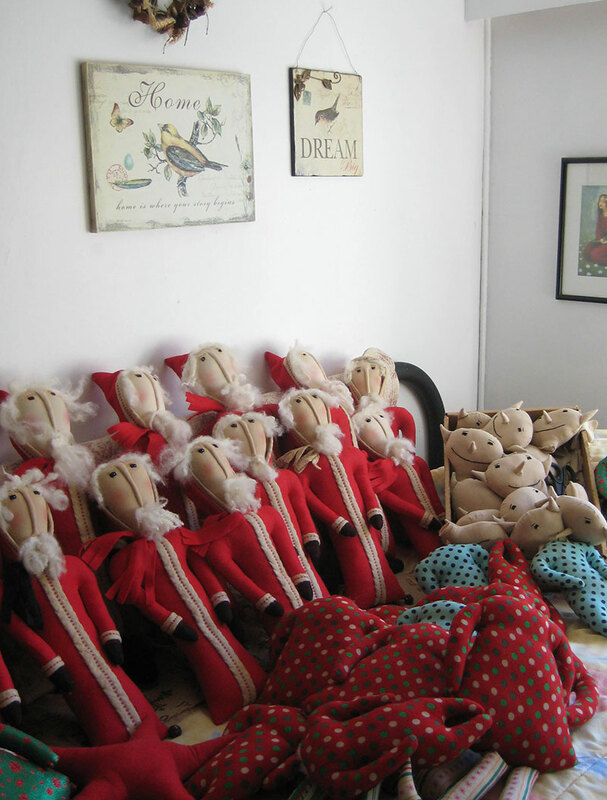 I am beginning my Christmas line and here are a few of the Santa's and partially finished elves piled up on the daybed in my studio. So much for me taking a nap..lol. 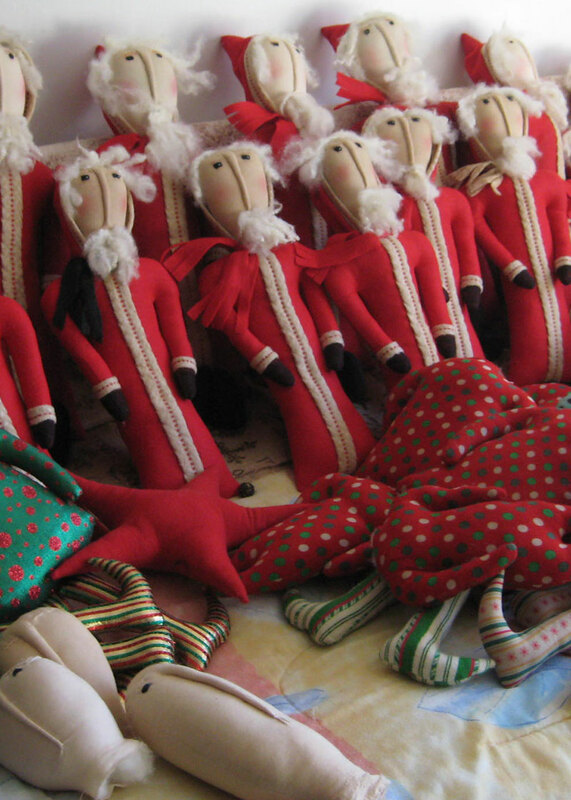 I have plenty of new stock started, santa's, snowmen, angels, elves and much more. Keep checking as I will add new pictures as I finish things up. It's ony 5 weeks to my first show..yikes. If I think in those terms I'll never sleep. I am also hoping to list a few items on Ebay this week and the link is on the sidebar for easy access. Hello, here are a few pictures of the craft show I did in Langley yesterday. We had a fun day with lots of support from the school and a local car dealership. It was wonderful to see so many of you come by, thank you for attending this spring show. Check out my next show in May, it's an outdoor show so let's hope for some sunshine.